After a fifteen year hiatus I recently began brewing beer again. 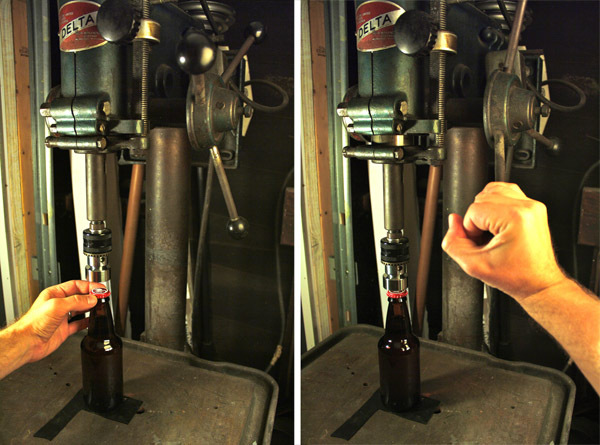 While gathering tools and supplies for bottling, I came across this handsome bottle capper. The typical countertop model (looks like a juicer) that takes up counter and cabinet real estate. 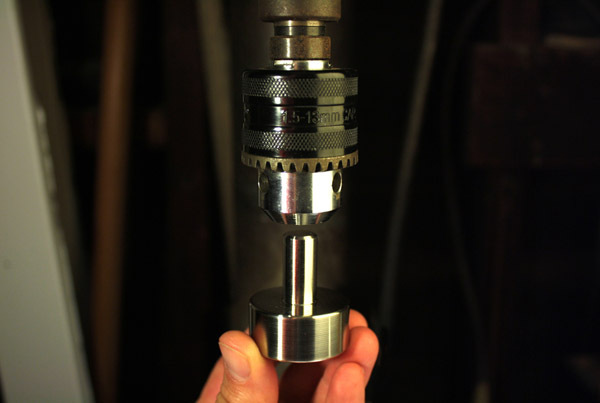 This stainless steel capper attaches to your drill press. Instead of adding another unitasker to your life, it extends the use of a tool you probably already own. Brilliant. I immediately ordered one from the eBay listing. 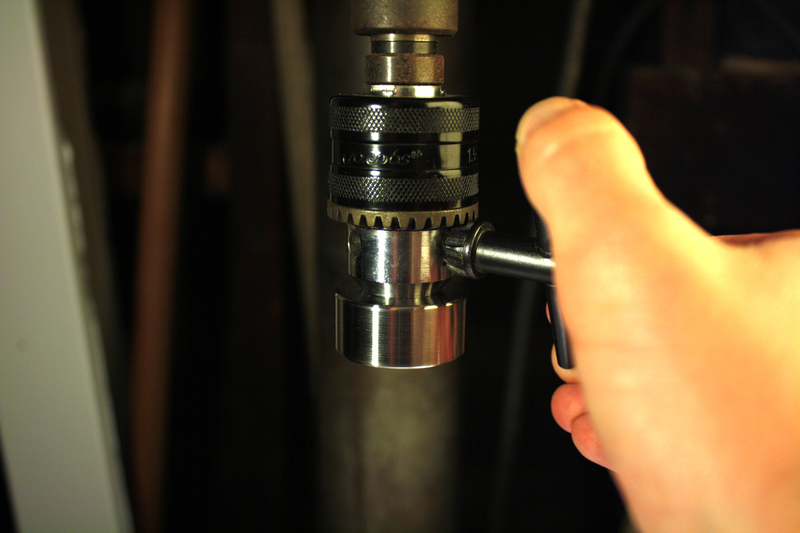 I’m pleased to report that it is precisely machined, heavy-duty, and works like a charm. 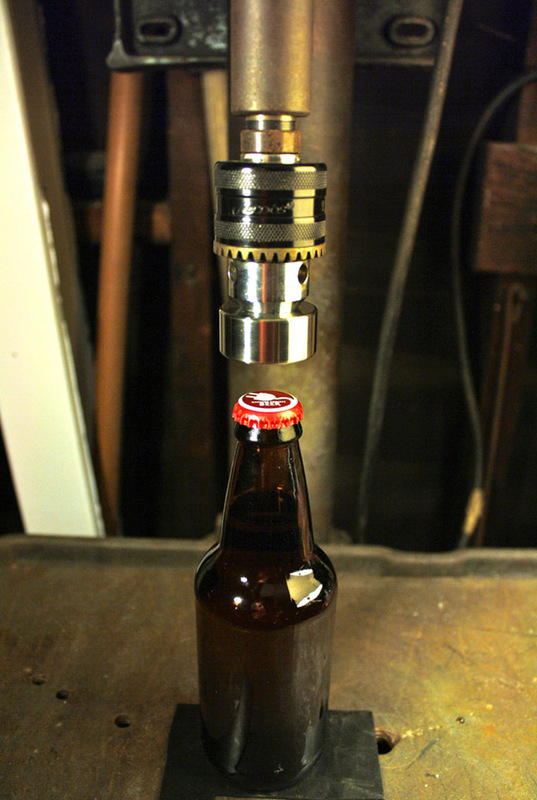 I chucked it into my drill press, filled a bottle, placed the bottle on a rubber mat on the press table, covered the bottle top with a cap provided by my friend Mark Allen of Machine Project, (I still owe you some homebrew! ), and crimped it down by turning the drill press’s feed handle (please note, you don’t actually turn on the drill press when doing any of this). Perfectly capped. I can’t recommend this bottle capper more highly; it’s inexpensive, takes up very little space, and gets the job done effectively. 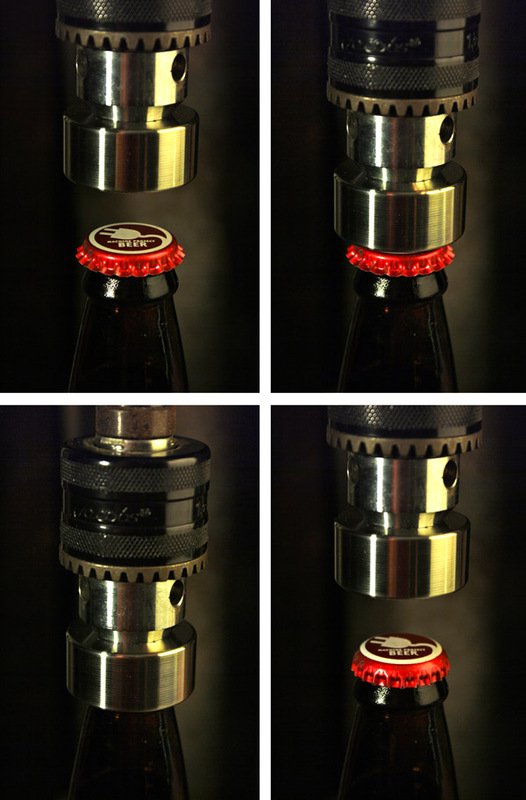 Stainless Steel Bottle Capper For Use With Drill Press $13.45 shipped.